Shri Krishna is believed to have darker complexion and, thus often refer with sanwaria or sanwalia in bhajans and, religious literature. 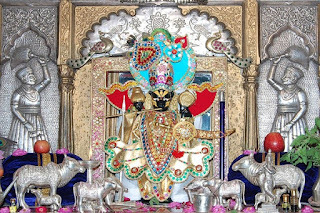 In Chittorgarh of Rajasthan, this beautiful temple of lord krishna is known as Sanwalia Seth, where seth means super rich person. So, in a way Sanwalia seth ji believed to bless the devotees with lot of wealth, riches and prosperity. He is actually a seth of seths. That is the reason, all the businessmen in Rajasthan as well as India, flock here every year for blessings of Sanwalia ji. And, they get whatever they wish for by the generous lord of riches, Vishnu Ji who incarnated as lord krishna during dwapara yuga. The temple is just 1km from main highway and, is connected through a nice road. The whole temple is made in pink stone with really huge campus around it. The square shaped campus of temple has a no. of small halls around it for the visitors to relax and rest. In the centre of the campus Sanwalia Seth's darshans are a treat to the eye as well as to the soul. Rich carvings on walls and ceilings gives this temple one of a kind look and feel. The campus is surrounded by a small market of flower and prasad vendors. Photography is strictly banned inside the campus and, you may park the vehicle just out side. 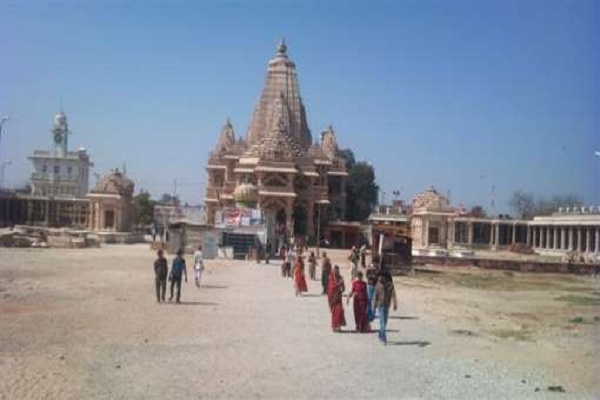 Sanwalia Seth mandir is located at a distance of 40kms from Chittorgarh. 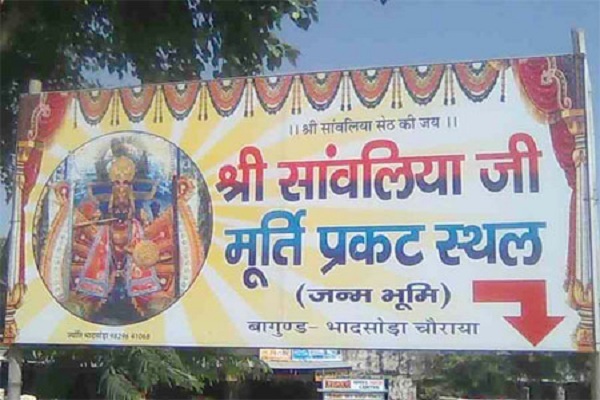 On Shri Krishna Janmashtami in the month of August, you will not find thinnest place to sit as the whole campus is jam packed by the staunch devotees of Sanwaliaji. Keertan and Satsang with sweet krishna bhajans make this place so amazing to visit. 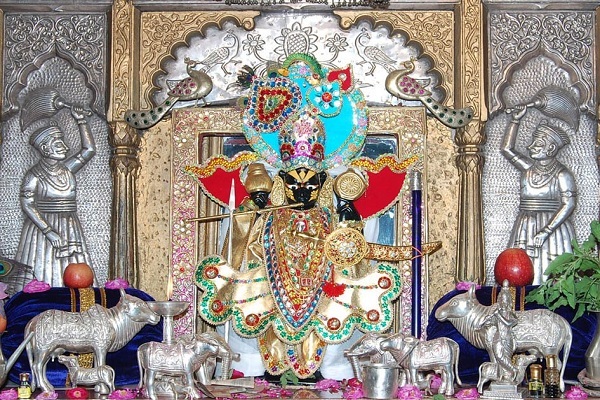 Darhan Timings: The darshan opens for visitors after Kakada Aarti at 5.30 am Mangala Aarti at 5 am and closes at 11pm. The temple is 40kms from Chittorgarh on Chittorgarh-Udaipur highway and visitors can either take a bus or taxi from Chittorgarh.